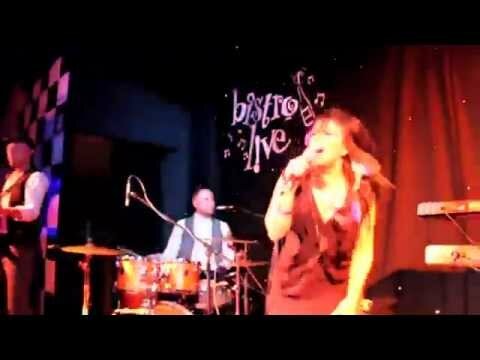 The Upstarts are a stylish and polished, Midlands based, 5 piece wedding and function band. Very experienced and assured on stage which means the performance and the music are designed to keep the dance floor full and guests happy. The Upstarts consist of 5 musicians, vocals, keyboard, guitar, bass and drums, as well as both female and male vocals which means they can be versatile when it comes to song choices. Their musical know-how and expertise means they also have a wide repertoire of songs which they frequently update, so are able to tailor the playlist to your requirements. They offer an additional laid back acoustic duo set, perfect when you and your guests are relaxing before the evening entertainment ramps up as well as a unmapped DJ service between sets and after the performance so all your entertainment needs can be catered for. Precise and polished in all that they do they come with top of the range equipment and a quick set up time. They have performed at venues such as the NEC and NIA, playing at The Big Chill and Godiva Festivals, and performing live on BBC radio. They have worked with world-renown producers Hanif Williams and Grammy award winner Roger Lomas and shared stages with the likes of The Selecta, The Specials, Steps, INXS and (most impressively) Chaz and Dave. Sorry, The Upstarts doesn't have any photos right now Send us an enquiry and we'll get back to you, or check out the rest of the act profile. Sorry, we don't have a setlist for The Upstarts yet Send us an enquiry and we'll get back to you, or check out the rest of the act profile.